When it comes to concrete sidewalks, you have a wide variety of style and design choices available. From basic, traditional concrete to decorative concrete, we do it all. 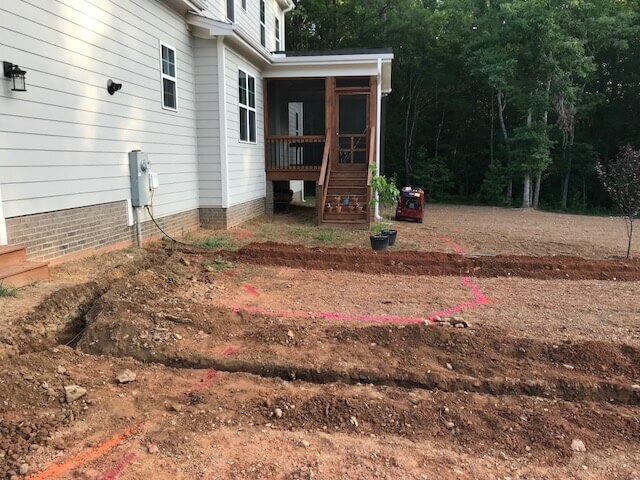 No matter how large or small your sidewalk project is, you can trust in us to have the skills, equipment, and experience you need to get the job done right. From residential and commercial services to municipalities, there’s nothing our crews can’t handle. 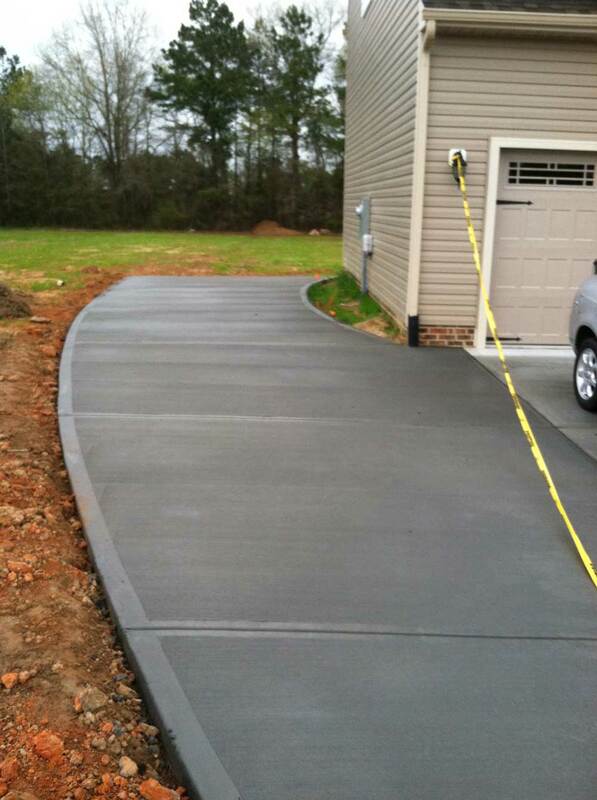 We provide you with an unsurpassed attention to detail when it comes to pouring, shaping, and finishing concrete. 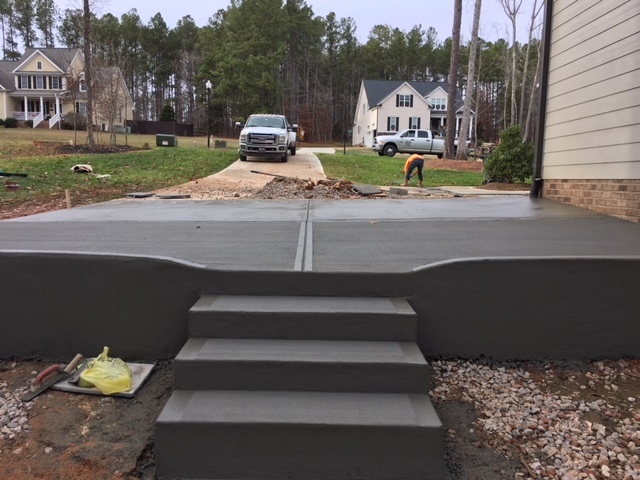 No other concrete company in North Carolina or Southern Virginia can compare to the quality of service our crews provide you with. 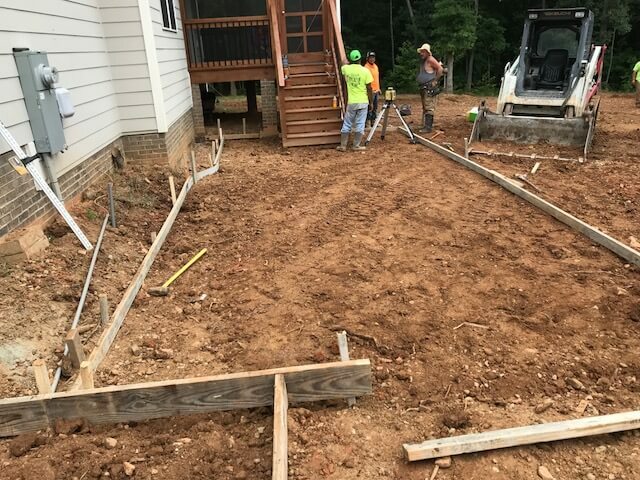 To ensure you’re getting the highest quality concrete sidewalk installation; we keep our employees current on all industry trends and standards. The concrete industry is constantly changing and improving, and we stay on top of what’s new and what’s not. You never have to worry about shoddy work when you choose us. 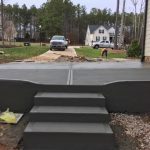 You’re GUARANTEED to get the best installation this industry has to offer from We Do Concrete Cheap. Pedestrian walkways and so much more! 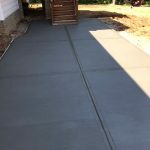 We can craft your sidewalk concrete in a variety of widths and lengths to ensure it’s tailored to meet your unique needs. 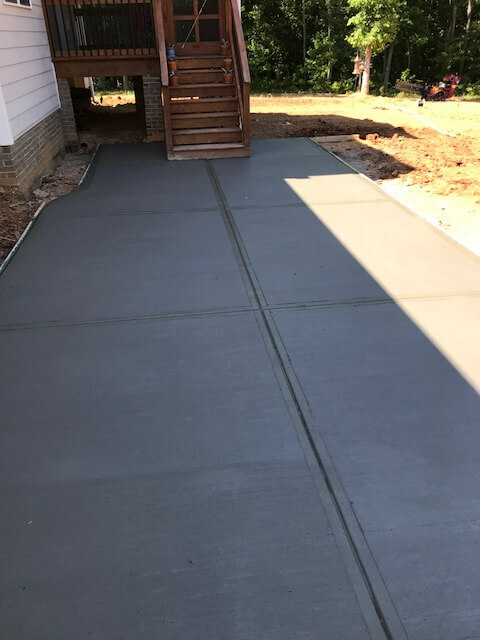 Our concrete crews provide you with a durable, attractive, and reliable sidewalk that is designed to last for the decades to follow. Our crews take great pride in keeping you in the know. Unlike our competitors, we’re excited to walk you through the process and explain every little detail to you. Talking about the quality of our work is a passion among our company, delivering on quality is our expertise. While walking in the grass may seem fine for a picnic, no one wants to get their shoes dirty or step on a snake. When you have a concrete sidewalk in place, it can eliminate a variety of dangers. 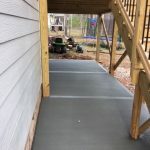 From keeping your shoes clean and high-heels from sinking into the ground to helping you identify pests easily; the benefits of a concrete sidewalk are virtually endless. 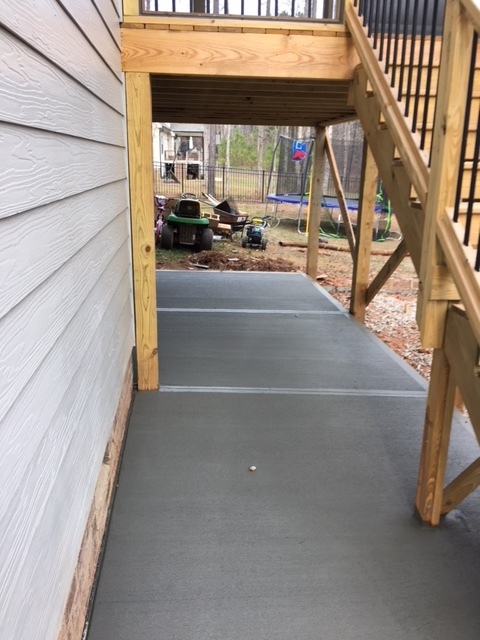 Aside from safety issues, concrete sidewalks also increase the value of your property and its curb appeal. 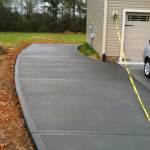 If you’re looking for a way to make a good first impression, installing a concrete sidewalk is a great starting point. Concrete sidewalks are a small investment that is more than worth a second thought. Luckily, concrete isn’t as expensive as you may think. 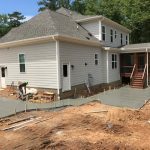 Our crews at We Do Concrete Cheap are dedicated to providing you with a cost-effective service that is sure to keep your wallet comfortable. 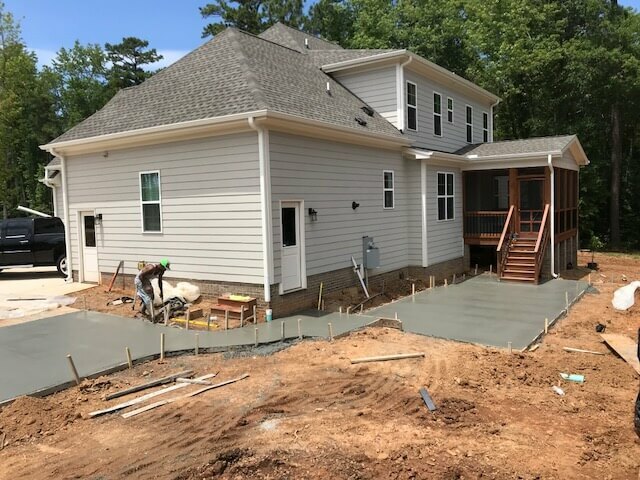 We’ll work closely with you to ensure your concrete installation is tailored to your budgeting needs. 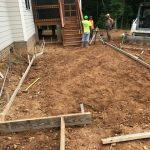 Whether you want a small sidewalk or a mile-long walkway, you can trust in our professionals to provide you with an affordable price. Your satisfaction with our price and service is our number-one driving force. We’re not happy, until you tell us you’re happy with what we’ve done for you. 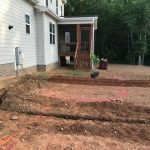 Don’t waste another moment of your precious time looking for the best concrete contractor North Carolina and Southern Virginia has to offer; you’ve already found us. Pick up the phone now to for more information or to get started with your quote. We’ll provide you with an honest and accurate estimate to ensure you know what you’re getting into. You’ll never have to worry about hidden fees, hidden charges, or shoddy work when you come to us. Call us now to get the ball rolling. You’ll never have to lift a finger when you choose us.